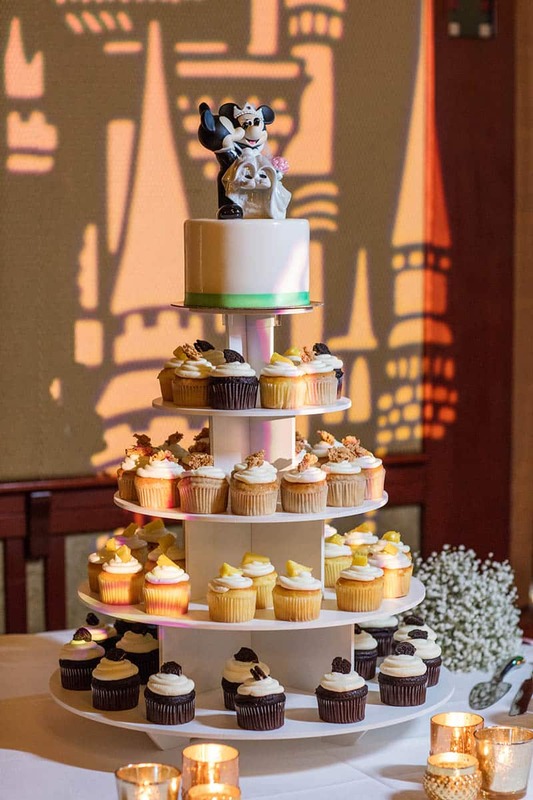 Our Wedding Cake Wednesday this week is a special treat, showcasing some of the classic flavors found around Disney Parks. 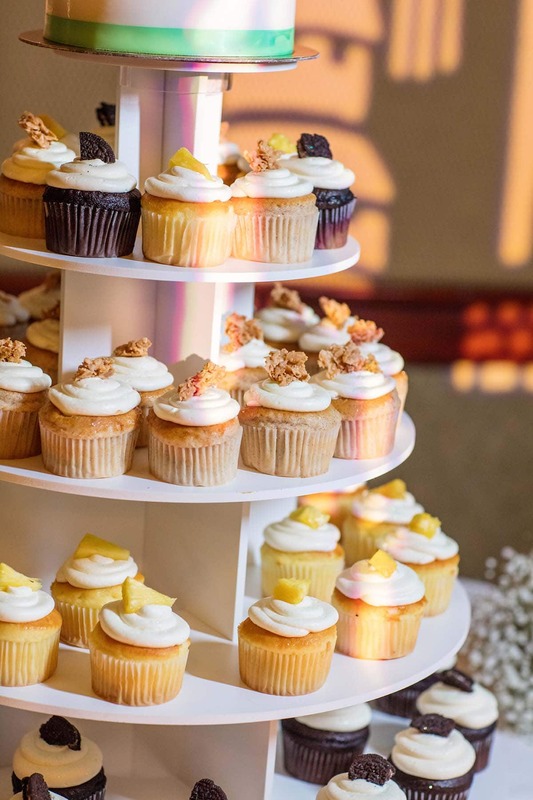 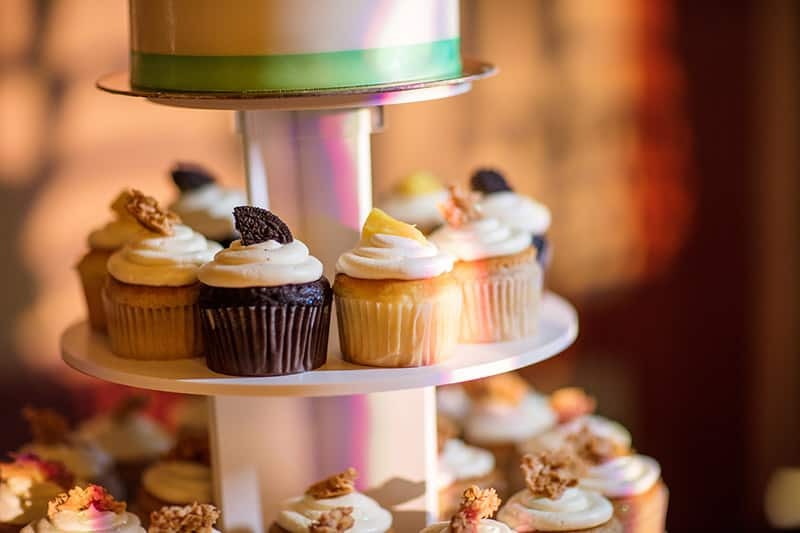 This delicious cupcake tower offers the best of both world's, with the top tier featuring a cake and the decreasing tiers made up of an assortments of amazing cupcakes. 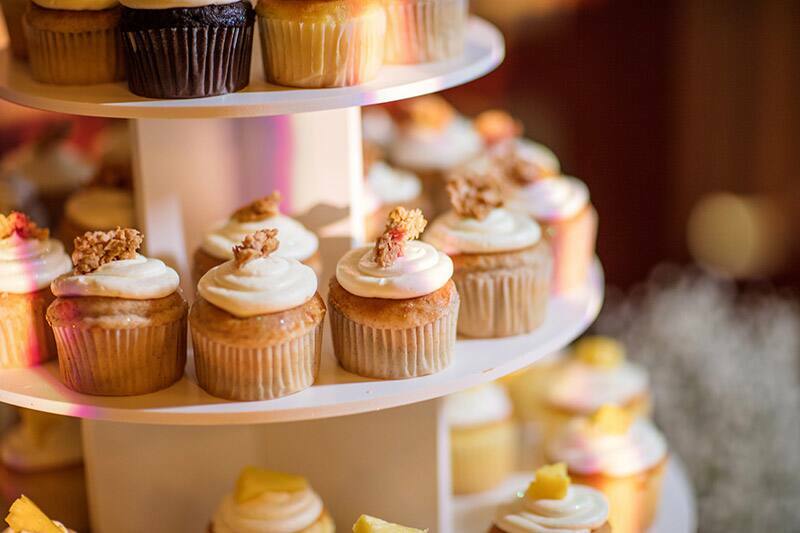 The flavors are some of our favorites including churro, pineapple dole whips and a classic chocolate!